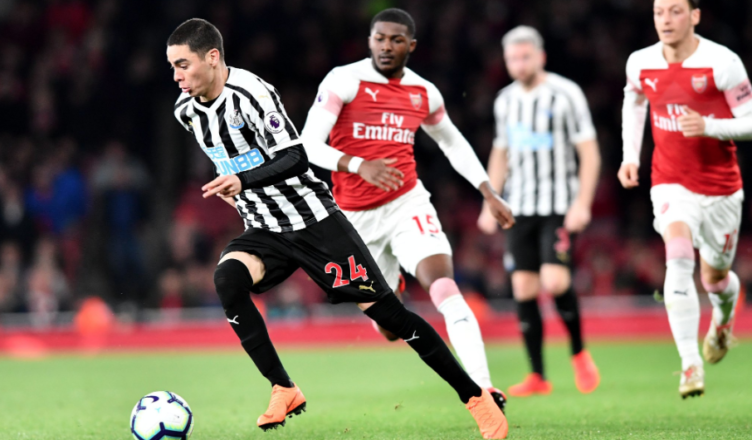 PLAYER RATINGS: Arsenal 2-0 Newcastle – Several 4’s, a few 5’s & the odd 6.. – NUFC blog – Newcastle United blog – NUFC Fixtures, News and Forum. One to forget for us Newcastle fans, with the lads struggling all over the pitch here; especially in the final third. Dubravka – 6 – Quick off his line to gather several dangerous crosses low crosses. Looked a safe pair of hands all night, although he was fortunate to get away with a corner that he got nowhere near, with the referee blowing for a foul to disallow a goal and save his blushes. Yedlin – 5 – Arsenal’s left wing-back Kolasinac ran riot down the American’s side. He didn’t get enough help for my liking, but he was a little too stand-offish at times, also having a few too many loose touches at the other end along with some woeful attempts to cross. Perez didn’t give him enough support and he did make the odd well timed recovery challenge, but he struggled to cope. Lejeune – 5 – A little ponderous on occasion, allowing a few players to run off him or ghost past him. A few decent interceptions and plenty punts up the pitch towards Rondon, but not the easiest of nights for him. Lascelles – 5 – His part in both of their goals cost him here. I actually thought he defended well generally, reading the game well and cutting out several Arsenal attacks or balls into the box, but he didn’t do enough for either of their goals. He’ll be particularly disappointed with the second, allowing Lacazette to get in behind him and being a little too hesitant in his attempt to get back as the Frenchman nipped in and lobbed Dubravka. Dummett – 6 – Pretty solid. Covered well when Ritchie was struggling and made a few important clearances to cut out dangerous balls into the box. We did miss Schar’s ability to step out from defence and create attacks, mind. Ritchie – 5 – He made one brilliant saving header off the line, denying what looked a certain goal for Lacazette, but his link up play with Almiron was poor; especially from his perspective. Several wayward passes infield and struggled to cope with Maitland-Niles’ pace and athleticism. Diame – 5 – Pressed quickly in the first half and was doing a decent job in the ‘spoiler’ role early on, but his limitations in possession were evident at times, with him being caught on the ball quite often. A solid CDM, but he needs a mobile ball player next to him. Hayden – 5 – Got stuck in and tried to get forward when he could, but the game passed him by a little at times. Not the performance he was hoping for on his return to his former club. Perez – 4 – On the fringes of the game and can’t remember him making any contribution in the final third of any note. Shades of the old Ayoze at times, with him often running into trouble, getting the ball caught under his feet and falling over. Also felt he didn’t do enough to help Yedlin deal with the marauding Kolisinac at the other end. Almiron – 4 – In his defence, he was the one player who looked prepared to get his head down and run into the space, but he was either cheap in possession or flattered to deceive nine times out of 10. Wasteful and frustrating in this one. Not his night. Rondon – 4 – The big man was uncharacteristically poor; not winning much in the air, sloppy passing and failing to capitalise when finding himself in two or three dangerous positions in the first half. This was probably his poorest display in a long while, with him looking a little jaded physically and more wasteful than we’ve been used to seeing. Let’s hope he’s back to his best on Saturday, with this one suggesting that if Rondon’s not on it, Almiron and Perez will struggle to get into the game. Ki – 4 – Didn’t make any impact, making his introduction all the more frustrating given Shelvey changed the game during his last two sub appearances. A few loose touches and failed to really get any good service into our front three. Muto – 6 – Gave us a bit of spark and energy down the right-hand side after replacing Perez late on. Went on one decent run and at least offered the enthusiasm and intent so many of our players seemed to lack in this one. Kenedy – 4 – He wasn’t on for long, but you could see he’s lacking confidence in the way he carried the ball, looking as though he was struggling to even keep it under control at times. Got away with a VERY heavy touch in a dangerous area had he lost it. 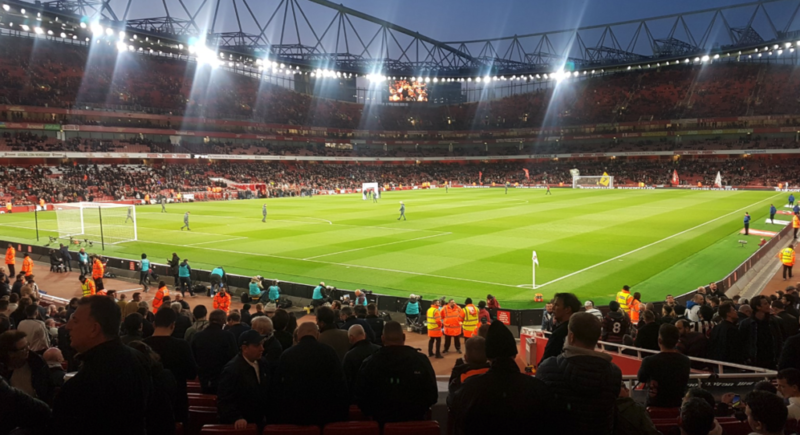 I was at this game with some Gooners and opinions are everything but…. Arsenal were awesome and we struggled to contain them, but it did show who was lost at this level. Lascelles 3, was out of his depth, wooden, and caught flat footed a few times including the second goal. Hayden 3, just not at this level as the game passed him by. Almiron and Rondon 3, struggled to get into the game and both looked defeated before the game started. Positives for me were Dummett 6, who looks every bit the international defender, Lejeurne 6, who was always in the right place and moved the ball well, and let down by Lascelles 3, time after time. Diame 6, also looked at the level with an athletic performance but needed a better player along side him. Perez 5, does also look at this level if he has better players around him. Dubravka 4, looked nervy all game, needs to man up to challenges and did punch the ball into his own net under pressure and was lucky to get a foul…IMHO. Overall Arsenal were so much better in every department including commitment and passion which is often where we excel……Too many Toon players safe on the beach.